Dr. Tin Htut, MOALI Permanent Secretary, sets the agenda for the workshop on a project that aims to increase rice yield and cropping intensity of small farmers in Myanmar. 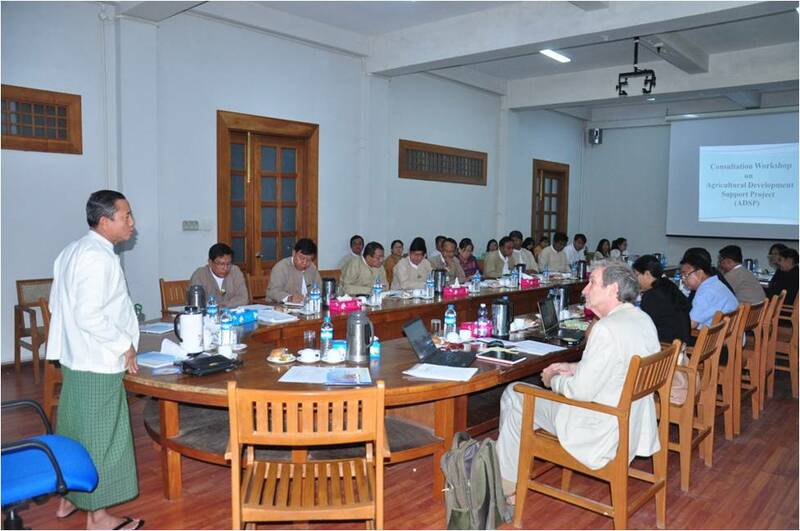 NAYPYITAW, Myanmar—The Myanmar agriculture ministry implemented a project that focuses on increasing the yield of small rice farmers, particularly women, ethnic minorities, and other vulnerable groups in Myanmar. On 23 February, Dr. Tin Htut, Permanent Secretary of the Myanmar Ministry of Agriculture, Livestock, and Irrigation (MOALI), and more than 20 representatives from the World Bank, the International Rice Research Institute (IRRI), and MOALI participated in a workshop to begin the implementation of the Myanmar Agricultural Development Support Project (ADSP). 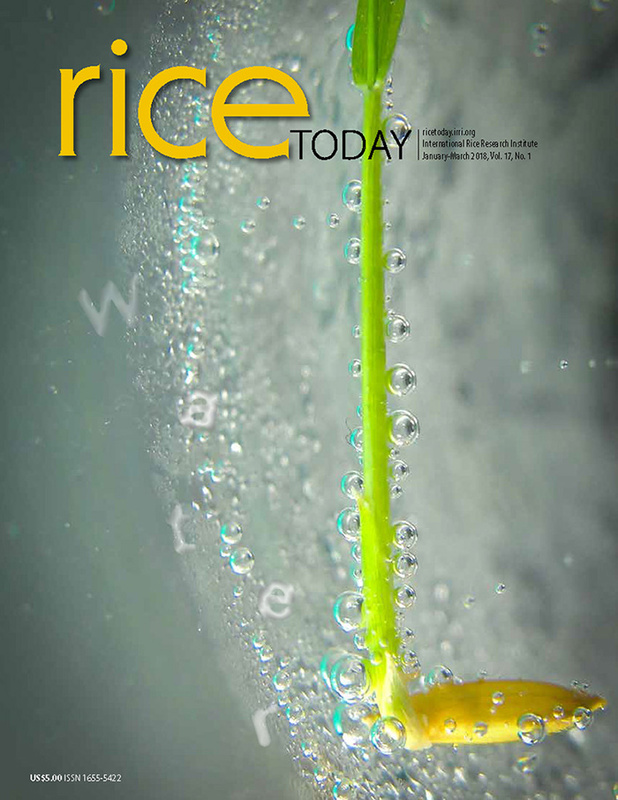 Irrigation problems have long been preventing Myanmar’s farmers from increasing their rice yield and cropping intensity. ADSP aims to make irrigated agriculture in small farms (0.8 hectares or less) more profitable, diversified, and sustainable through participatory activities and improved management approaches. The target beneficiaries are expected to take active roles in planning and decision making on cropping systems, water allocation and distribution, and on-farm water management. ADSP is a seven-year project (2015-2021) supported by the World Bank. IRRI will be involved for three years (2017-2019) to provide expertise in building the capacity of the country to develop climate-smart rice technologies and natural resource management options and strengthen the pathways toward increased adoption of the new technologies by the stakeholders. “IRRI’s past and current activities in the country will enable the institute to effectively transfer the proper knowledge and technology to its research and extension partners in Myanmar,” said Dr. Indira Ekanayake, World Bank mission leader in Myanmar. The IRRI team for ADSP is led by Dr. David Johnson, with Drs. Jongsoo Shin, Romeo Labios, and Madonna Casimero. IRRI has a long-standing partnership with MOALI in R&D programs that include plant breeding, crop and natural resource management, and mechanization, among others.